Orders for 787 Dreamliner — like these being made in North Charleston — are lagging, leading some analysts to predict a production rate cut that could lead to a single assembly line. Boeing's CEO says he's confident the company can maintain its current output of 12 a month. Editor’s Note: Each fall, North Charleston Magazine recognizes 20 outstanding community members in our 20 to Know feature. This year, we decided to introduce readers to some of North Charleston’s “businesses to know.” New and old, these are just a few of the companies that are shaping the city with jobs and unique services. People have made the difference for Boeing, the world’s largest aerospace company and a key component of the North Charleston economy since 2009. “We have exceptional teammates who do amazing things and create the best aerospace products in the world,” according to Boeing Communications Specialist Elizabeth Merida. Boeing South Carolina broke ground on its 1.2-million-square-foot assembly facility in North Charleston in 2009, after purchasing Vought Aircraft Industries and Global Aeronautica LLC, which were formed in 2004. By the time 2016 comes to a close, when Boeing’s paint facility is finished, the company will have a total of 3.5 million square feet of space near Charleston International Airport and in nearby Ladson. Boeing, which employs 160,000 people worldwide, recently celebrated its 100th birthday. The company builds commercial and military aircraft, satellites, weapons, electronic and defense systems, launch systems and advanced information and communications systems. North Charleston is home to two 787 Dreamliner final assembly and delivery facilities, and Boeing will build its 787-10 in the Lowcountry as well. Boeing South Carolina is partnering with readySC, a program that works with the state’s technical colleges to help meet the workforce needs of companies that expand or relocated to the Palmetto State, and Trident Technical College to train local residents for careers in the aerospace industry. Trident Tech is expected to break ground on its South Carolina Aeronautical Training Center in 2017. The weather was a factor in the growth of Charles Foster, an icon of the staffing and recruiting industry in the Charleston area for nearly half a century. The company, established in 1969 by Charles Foster, originally provided clerical temps for area businesses. It expanded into the field of professional recruiting when people started moving South to escape the sometimes unpleasant weather in the Northeast, according to owner and President Dottie Karst, who has been with Charles Foster since 1982. “Every time there was a snowstorm, talent started coming in from the Northeast,” she recalls. Charles Foster now provides businesses throughout the country, mostly in the Southeast, with a wide range of temporary, temporary-to-hire and direct hire employees. Its Executive Recruiting Division helps companies find leaders in engineering, accounting, finance, executive sales and management as well as information technology. What’s the key to Charles Foster’s success? “We place people every day who walk into a company at 8:30 and by 9:30 are an asset to that company,” Karst says. She points out that she loves being in North Charleston, citing its central location and that city employees and officials are responsive to small businesses. And she sees nothing but continued growth for the city. “I see it all coming together,” she comments. 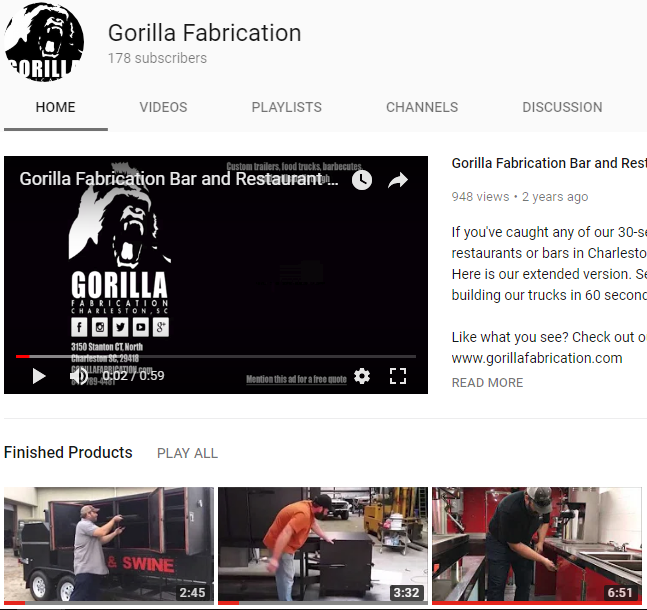 If you like to tailgate, eat, cater or just have fun, you should get to know Bill Tillson and Michael Brant, the owners of Gorilla Fabrication. 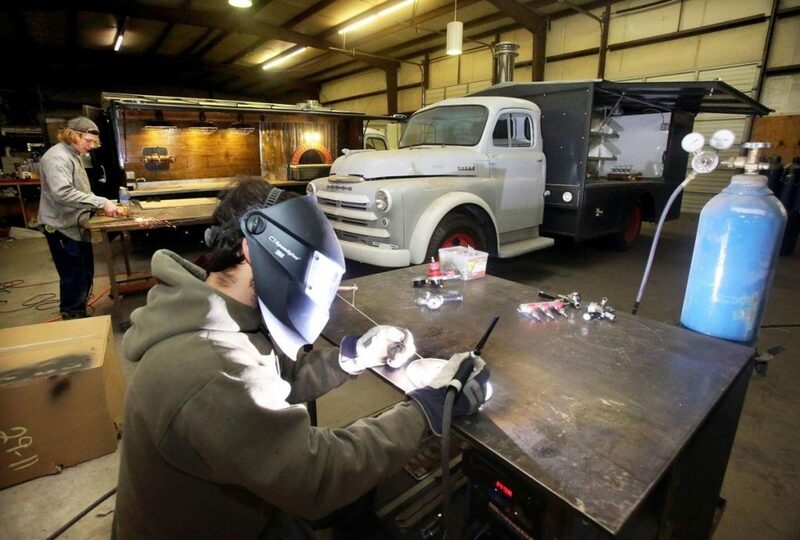 Established in 2009, the company manufactures custom-made food trucks, catering trailers, smokers, barbecue rigs, trailer grills and “anything else you can think of,” according to Tillson. Gorilla Fabrication also restores old vehicles in its paint and body shop and makes furniture such as tables, chairs and bar tops. The company does all its own work, choosing not to farm out any tasks. Gorilla Fabrication employees customize metal parts for two food trucks the company is building for different customers. Tillson attributes his company’s success to his 11 employees. “We hire talented men and women who are looking for a place where they can use their abilities as artisans and craftsmen and work in a culture that allows them a lot of freedom,” he says. Tillson says North Charleston is a great place to do business. “We have the support of a city with resources geared to manufacturing,” he says. Five years ago, North Charleston would not have been Danny McCarthy’s No. 1 option to start his business. Today, however, he’s glad he did. King of Pops sells handmade frozen popsicles from carts on the streets of North Charleston, as well as at various farmers markets and festivals in the area. McCarthy has five full-time employees and another 10 to 15 seasonal workers. McCarthy says his business has been a success because he offers a high-quality product to a great clientele. He says ethical business practices are important as well. He adds that having a presence in North Charleston doesn’t hurt either. McCarthy predicts that North Charleston will continue to grow, in terms of both residents and businesses. Limehouse Produce has been distributing fresh fruit and vegetables, dairy and local artisan products to the food-service industry and local retailers for 71 years. That doesn’t mean, however, that the company does business exactly the same way it did back in the 1940s. “We have grown and adapted our operation and product offering to the ever-changing needs of restaurant operators, institutional food service and government customers, as well as the increased demand for food safety and cold-chain management,” according to company Vice President Andrea Limehouse. She adds that Limehouse Produce, which has 75 employees, is successful in part because it is located in the community it serves. North Charleston, she says, is a good place to do business because it offers the benefits of accessibility and small-town values and the space to grow. She is confident that North Charleston will continue to see the benefits of economic growth. “The city is very focused on fostering new businesses. Take advantage,” she says. The Terressentia Corporation’s success has been marked by innovation in a traditional industry. In business since 2007, Terressentia has patented the TerrePURE purification process, “which enables us to rapidly mature whiskeys and any type of typically barrel-aged spirits to get them smooth enough to drink,” according to CEO Earl Hewlette. Terressentia, which has 35 employees at its North Charleston distillery, has grown from no revenue in 2007 to almost $20 million in 2016. Hewlette says the company exports more than 500,000 gallons of bourbon a year to countries around the globe. “The convenience of the port makes our location in North Charleston extremely desirable,” he says. Terressentia recently opened another distillery in Owensboro, Kentucky. A variety of alcohol is processed and bottled at Terressentia for local companies as well as and across the U.S.
Terressentia started out in a 6,000-square-foot facility in North Charleston, later moving to a 25,000-square-foot location and then to its current 40,000-square-foot space. Hewlette sees a bright future for his business and for North Charleston. “All our products, not just bourbon, are increasing in demand. 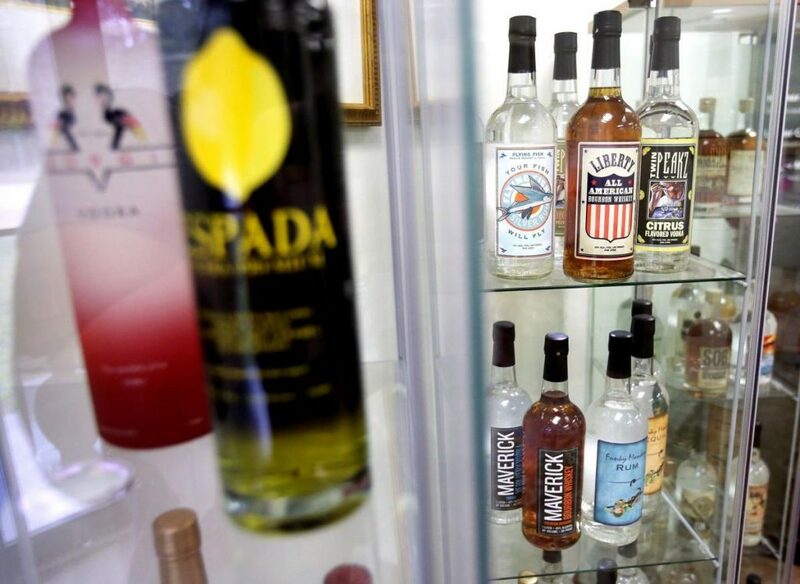 All of our bottled product originates in Charleston,” he says. “We have found the various agencies in North Charleston to be open and receptive to business growth. They have been very helpful to us,” he adds.